Sell downloads on WordPress with the FastSpring plugin. Take control of the complete ecommerce experience while saving time, money and developer resources. 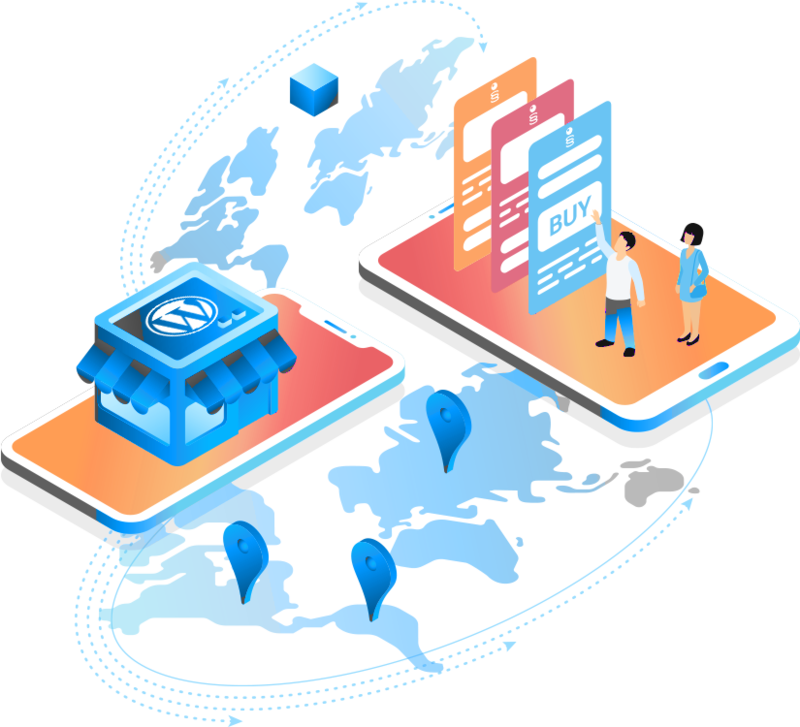 FastSpring is the first and only all-in-one ecommerce platform to offer a WordPress plugin for businesses selling software, SaaS, and digital products. Scale your online store on WordPress with a complete ecommerce solution. FastSpring’s easy-to-use, open source WordPress plugin is designed to help you get your online store up and running with all the powerful ecommerce features you expect from an all-in-one ecommerce platform. Configure your online store for digital products with one direct integration. Set up your online store in the FastSpring platform and use our ecommerce plugin to integrate your store directly into WordPress. All without developer support! Manage the entire ecommerce experience in WordPress in real-time. Update products, pricing and discounts in your FastSpring Store. Your WordPress site will update in real-time, and all transactions processed through your WordPress site are reflected in the FastSpring platform. Offer a branded shopping experience that delights your customers. Build user-friendly, modern checkout experiences that seamlessly match your WordPress theme and drive more sales directly from your online store. No more redirects or third-party hosted ecommerce sites. FastSpring is the industry-leading ecommerce solution for businesses selling digital products worldwide. Grow your global audience with personalized checkout experiences for every customer around the world. Increase sales from your online store with multiple languages, prices, currencies, and payment options. Save time and resources with automated back office management. Sales tax, VAT filings, billing, order processing, digital fulfillment, and online payments—we manage it all for you. So you can focus on what matters most—your business. Effortlessly scale your business while remaining compliant with global regulations. FastSpring automatically manages global privacy and security regulations including PCI and GDPR. We’ve got you covered. Learn more about the FastSpring plugin for WordPress. Learn more about the FastSpring ecommerce plugin. Find it featured in the official WordPress directory. From initial set up to how it works, read everything you need to know about the FastSpring plugin. Explore helpful, step-by-step support articles from the FastSpring Knowledge base. The FastSpring plugin for WordPress requires: An account with WordPress + An account with FastSpring.